We are selling our first home. We have heard horror stories about move-out day. Do you have any advice? Move-out day can go well when you are thinking about it in advance as you are. But there are reasons you have heard the stories. They happen. Reader Question: We are expecting an offer on our home this week. It is our first time selling a home, but over the years we have heard a few horror stories about move-out day. Do you have any advice about how to prevent move-out day problems? Rick and Angie B.
Monty’s Answer: This is the very best time to be asking. Moving horror stories are common. If your next home depends on this sale closing, there is a contingency you can negotiate into the contract. A rent-back provision relieves stress and saves you money if the closing date were delayed or fails at the last minute. Rent-backs provide the seller occupancy after closing at a pre-agreed daily rent. Usually the maximum term is 30 days, but it can be more or less. All too often, the closing does not take place as scheduled because of some event beyond your control. When a closing fails, if the seller agreed to vacate on the day of closing it will be a frustrating and expensive day for both parties unless they have protected themselves contractually. A buyer should allow for wiggle room at their current location for the same reason. If you are buying another home, consider a contingency that is subject to the successful closing of your current home sale. Many states have a pre-approved fill-in-the-blank rent-back contract addendum your agent can tailor to the specific transaction. Continuing communication with all vendors and contract parties is the key. Your agent should be helping coordinate the moving dates and times between the buyer and seller. Be sure to contact a moving company far enough in advance and base the moving time on when the seller will be out of the home. It works out well to put an exact time in the purchase agreement. There’s nothing worse than arriving at your new home bright and early and then discovering that the seller will not be out until the afternoon. By preparing in advance, you may be able to avoid some of the problems and confusion that can occur before, during and after the move. Try to take care of as much as possible in advance of the move. Develop a game plan and make sure all of the key players agree to it. Even though you left the old home spotless, your new home may not be in that shape. We suggest having cleaning supplies handy and insist on a clean, vacant home in the purchase agreement. Take an inventory of items and be sure to walk through the home for a final inspection of empty rooms, closets, basement, cupboards, garage and the attic. Have basic tools like a screwdriver, pliers, crescent wrench, tape measure and hammer on-hand. Coordinate the move date with proper notice for a few days before the end of your lease. Be sure to notify delivery services like newspaper, magazines and other services. Advise utility companies (electric, gas, water, internet and telephone) of your moving date. Contact a moving company early to reserve a date. Plan for specific moving needs such as care for infants, pets and plants. Know the exact time when the seller will be out of the home. 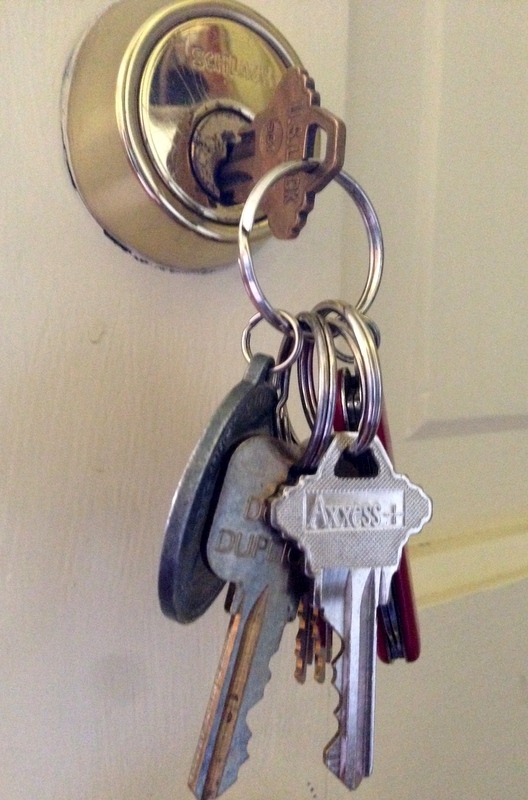 Gather all your house keys, including ones you left with friends or relatives. Leave them with the new owner or landlord. There are no secrets to eliminate the hard work involved in moving. Good communication and follow-up are the keys to a successful closing.